This page is dedicated to 161 Recce Sqn and those who have served in the Squadron. The page is designed to provide an insight into the history and current operation of the 161 Recce Sqn. Any assistance in amending the content of this page would be greatly appreciated. After returning from Vietnam in March 1972, 161 Recce Flt was used as a general support Flight, with its HQ at Oakey in Queensland. 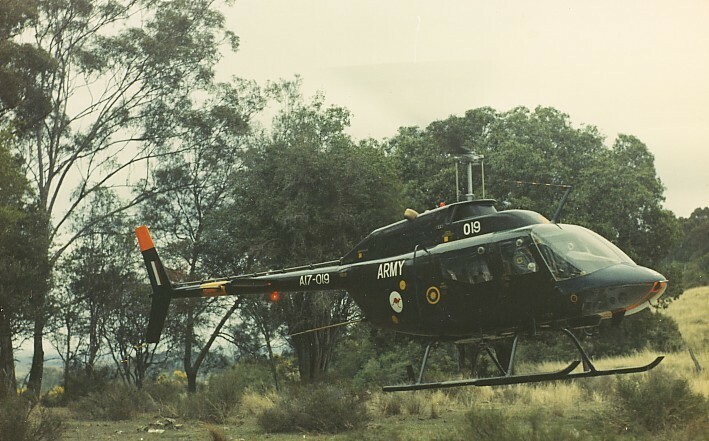 In late 1973, 171 Air Cav Flight at Holsworthy was re-designated 161 Recce Sqn and 161 Recce Flight at Oakey was re-designated 171 Operational Support Squadron. 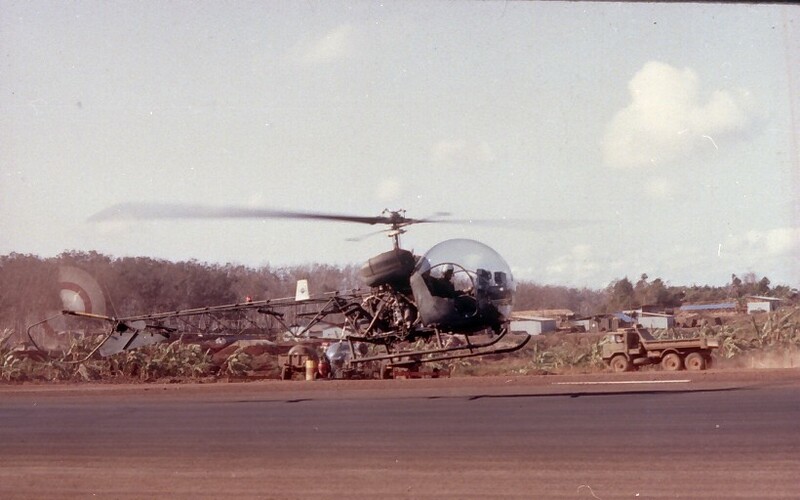 During 1975, Holsworthy Army Airfield and 161 Recce Sqn were relocated to a new site at Orchard Field, which was built on an old gun position on the northern end of Holsworthy Range near the 2 Cav Regt area. November 1994 saw the end of an era for 161 Recce Sqn when the unit paraded at Holsworthy for the last time. Early 1995, after more than twenty years in Sydney, the Squadron re-deployed to Darwin for operations in Northern Australia. In December 1999, 161 Recce Sqn deployed to East Timor, replacing 162 Recce Sqn, as a member of the INTERFET Forces on operational service. In February 2000 the operation in East Timor was handed over to the United Nations. The number of aircraft and personnel from the Squadron in East Timor has been reduced considerably and it is believed that the Squadron will maintain a presence in East Timor until late 2000. Report from East Timor - 2002. The following story has been copied from the Army Newspaper dated 27 April 2000. SUAI, April 15. One Australian unit based in Suai is maintaining the ANZAC tradition by working closely with Kiwi forces stationed in the AO. A detachment from 161 Recce Sqn is continuing operations under UNTAET, as it did when part of INTERFET, flying daily missions across Sector West. Capt Matt Donovan, 161 Recce Sqn, said the unit married up with 3 Sqn RNZAF in March and since then the units had moved to a joint operations cell. "Living with each other has proved very fruitful," he said. "We are learning from each other all the time and it has created quite a capability in Sector West in the aviation sense." "Tasking is undertaken on the type of aircraft required - if it is a utility-lift job then 3 Sqn is tasked and if it is reconnaissance then we fly it." The squadron is now accustomed to tracking and monitoring militia movement, the latest happening yesterday following a call from 1RNZIR that a group of suspected militia was headed for the border. "They reported a sighting of six possible militia along the border in the vicinity of Bliluk Letun and so we went out and maintained over-watch on a couple of the 1RNZIR callsigns." "At about 1630 we picked up one individual that had made the border." "We watched him for about an hour, however we could not pick up the other five members of the group and we believe they got to the other side of the river." Capt Donovan said the Squadron's Kiowa's flew day and night reconnaissance missions to create a presence along the border territory. "The aircraft is holding up very well and we have flown about 3000 hours to date. "Aircraft are currently being rotated in and out of country for servicing." "Overall the serviceability has been up around 80 per cent." He said the workload had become consistent, with similar jobs happening every day. 161 detachment hangar artificer S/Sgt Graeme 'Tappets' Elvin said his team were kept very busy with aircraft servicings. "Initially our biggest challenge was in spare-parts supply, especially following the transition to UNTAET," he said. "Humidity has also caused a few problems with fuel control and we were worried about corrosion on the wiring as well but we now have a prevention program in place that keeps us on top of the problem." He said his nine-man team worked seven-days-a-week but he endeavoured to give them one rest day in every 14. "Because we have been here for six months we are cycling people through on their leave back to Australia - so we are down one person all the time." My name is Lt Adrian Bielenberg. I am currently serving in East Timor as a pilot with 161 Recce Sqn. 161 took over from 162 in December 2001. 161 remains under the leadership of Maj Dan Perren. The current contingent is located at ANZAC lines, Suai, and is co-located with 3 Sqn RNZAF. A Tp rotated in on 19 April, conducting a relief in place with B Tp. Three four month rotations will take place in 2002, with 28 members of 161 sharing with 60 Kiwis at any given time. East Timor has recently gained independence from Indonesia. 161 was located in Dili Heliport and was given the responsibility to provide night capability over watch to the independence celebrations. Fortunately the celebrations went off without significant incident. During that time, the Portuguese offered their accommodation for five nights and an operations tent was erected within an overcrowded Dili Heliport. Along with sharing an ANZAC day with the Kiwis, this was very satisfying to all who took part. Day to day responsibilities of 161 are not unlike those experienced in the past, however, modern technology allows information to be passed to Commanders quickly, efficiently and digitally. Some may be interested to know the tail numbers are A17-004, 017 and 054, with 029 having recently replaced by 004. The Tech Support Troop (TST) has done a fantastic job keeping the aircraft on line, often working through the night when required. Our Possum Medic, CPL McKenna, who deals with all imaginable complaints, continues to provide great service to the Squadron. As an aside, I am the nephew of David Earley who flew with 161 Recce Flt in Vietnam. It is very satisfying to serve in the same unit as a family member. I am happy to be a contact and will provide you with a periodic update of what is happening at the Squadron, both now on operations and in Australia as of August 2002. After nearly four years of distinguished service and almost 11,000 flying hours, the Australian Army's three Kiowa helicopters in East Timor are heading home. 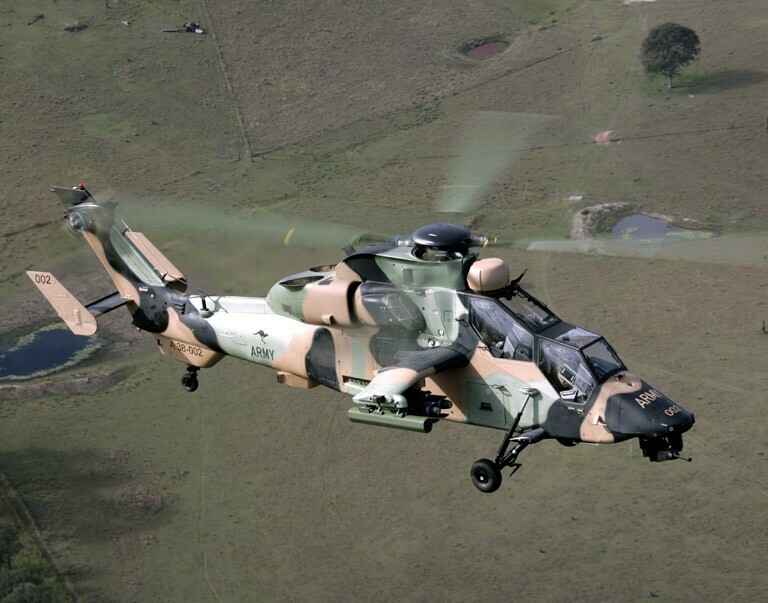 The Australian Army Aviation detachment, or AUSAVN, was farewelled in traditional military style with a ceremonial parade in Suai, where the AUSAVN detachment and the Singaporean Aviation Detachment (SINGAVN) are based. The Australian Ambassador, His Excellency, Mr Paul Foley, Secretary of State for Defence for the Democratic Republic of East Timor, Doctor Roque Rodrigues, Commander of the East Timor Defence Force, Brigadier General Taur Matan Ruak. UNMISET Peacekeeping Force - Deputy Force Commander Brigadier Paul Retter, BRIG Anthony Fraser, AM CSC, Commander of 16 Brigade (Aviation) and the Commander of the Australian Contingent in East Timor, Colonel Greg Molyneux, all attended the parade. AUSAVN first deployed to East Timor in September 1999 as part of Australia's contribution to the International Force for East Timor (INTERFET). Finally part of the United Nations Mission of Support in East Timor (UNMISET), AUSAVN has been comprised of 1st Aviation Regiment's 161 and 162 Reconnaissance Squadrons, which are based in Darwin and Townsville respectively. "The AUSAVN detachment contribution to peacekeeping in East Timor since 1999 has been crucial to the success of the operation," Chief of Army, Lieutenant General Peter Leahy said. "The men and women who have served as part of the detachment have performed with outstanding professionalism, dedication and courage. The sight of Australian helicopters has been a familiar and comforting one to the East Timorese people since 1999 and I'm sure their efforts will not be forgotten," LT GEN Leahy said. "It is a great privilege to be part of AUSAVN. The work that we have been able to do gathering information along the border region has been invaluable to the United Nations Peacekeeping Force in East Timor" said Major Michael Potts, final Officer in Command of AUSAVN.